Brother Chris was lecturing in Glasgow yesterday, and someone handed him this photo. It was taken on my Dad's retirement flight in March, 1994. This was also the last scheduled flight of the DC-8 at Air Canada -- both airplane and pilot were retiring together. It was a DC-8-71, and the pairing was Toronto-Prestwick-Zurich, layover, and then back by way of Shannon (although we had to stop in St. John's on the way back because of very strong headwinds and the small, poor, wing of the 61/71-model DC-8). 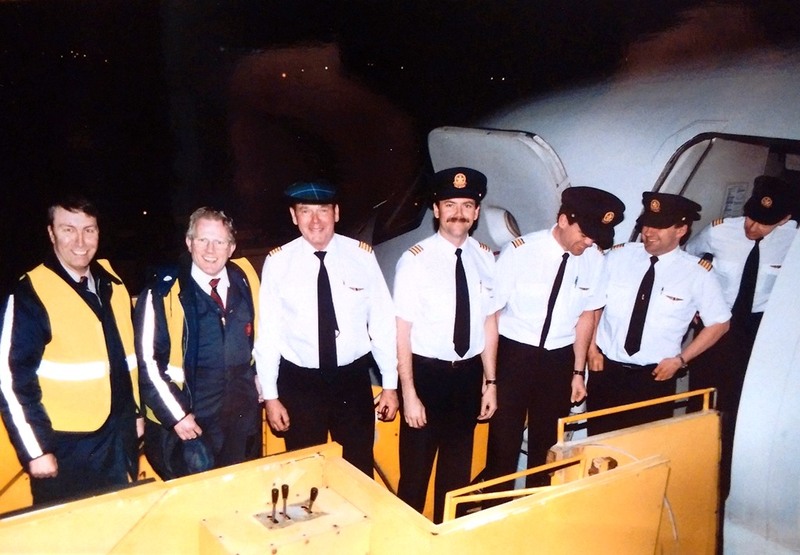 I was an F/O on the A-320 in Winnipeg at the time -- that's me with the True Canadian Pilot's Moustache -- and on my left is brother Phil. He'd been laid-off from AC at the time, but we wangled him a security tag by some devious means, and the two of us came along just to be there. The working F/O and S/O are next to the aircraft. Dad appears to be wearing the Official Approved Air Canada Tam'o'Shanter. How very thoughtful and kind for whomever to dig this out and give it to Chris. (He had just moved to Houston then and was on the Shuttle course.) What a great blast-from-the-past! How crazy that photo found its way to him! That's very cool to have a memory like this appear from nowhere after so long. Another blast-from-the-past. A lively old gentleman named Art Gillard called me up a few months ago. He'd found an original copy of the F-24 Manual in his files. How wonderful to see the way it was originally presented -- the 1941 graphics are perfect. Art is a long-retired AC Captain, but still full of energy. He dropped this off at my parent's farm (it's close to where he lives), and they brought it to Owen Sound where I met them for lunch last Sunday. Thanks Art! I owe you a ride in the airplane. And lunch was very good, too! Got the Annual done, with Stan V, and all went well. No surprises -- always good! Now I have to upgrade the old pictures! Winter must be over. 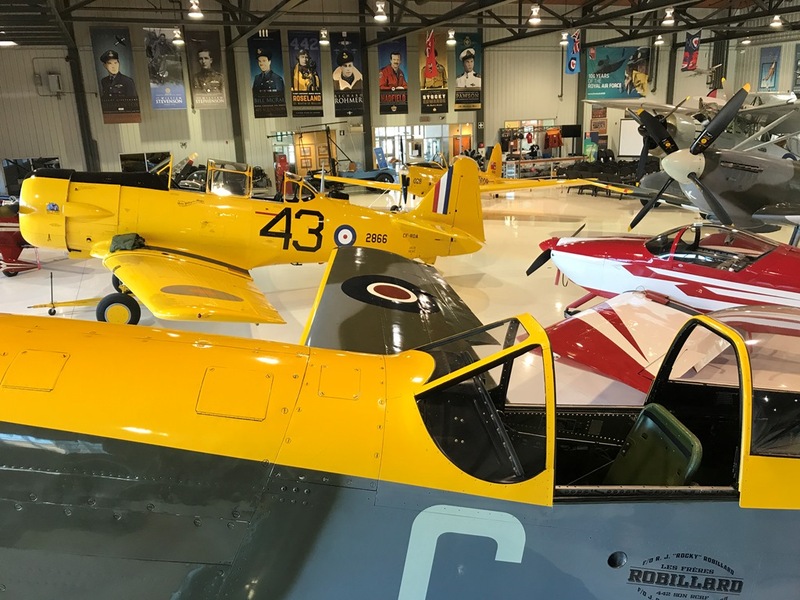 I flew Robin's RV6a to Gatineau and flew these 3 airplanes -- Harvard, Mustang, and for the first time, the Spitfire. 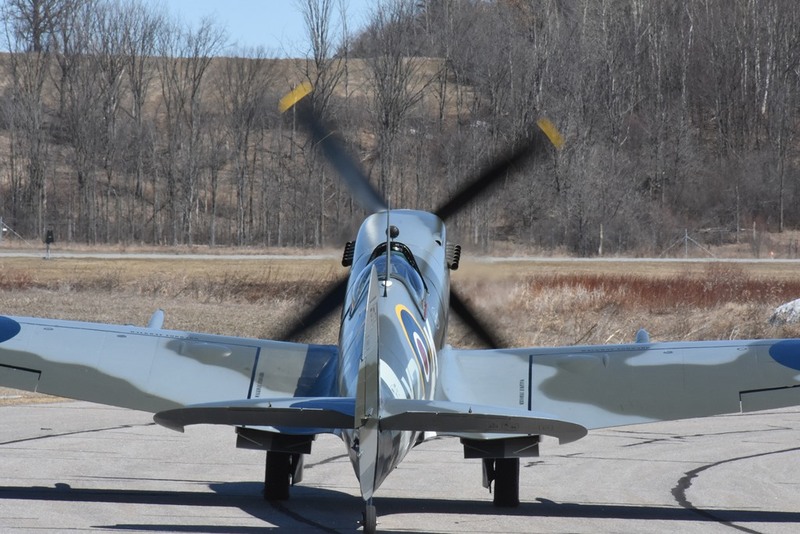 All the while studying the new Mk IX Spitfire, and finally getting up in it today. I had to cut the last flight short due to rising oil temps. I think we have a thermostatic valve in the system not functioning. But I have high hopes for tomorrow. A couple of snaps of my first flight in it. I bought a new helmet cam, a Sony. Cheap, and slim -- there is no room for a GoPro. And a helmet-mount that works for my leather-bound Campbell. I'm the worst videographer, but this turned out not too bad. Mandatory ego inflation: I don't see any bad videography there. The image stabilization did wonders. Dumb pilot question: Does the AI just not work or were you having a Vacuum pump issue? I do realize it's not really needed, just curious. BTW, honest ego inflation from me - that was a darn fine landing. Super busy. 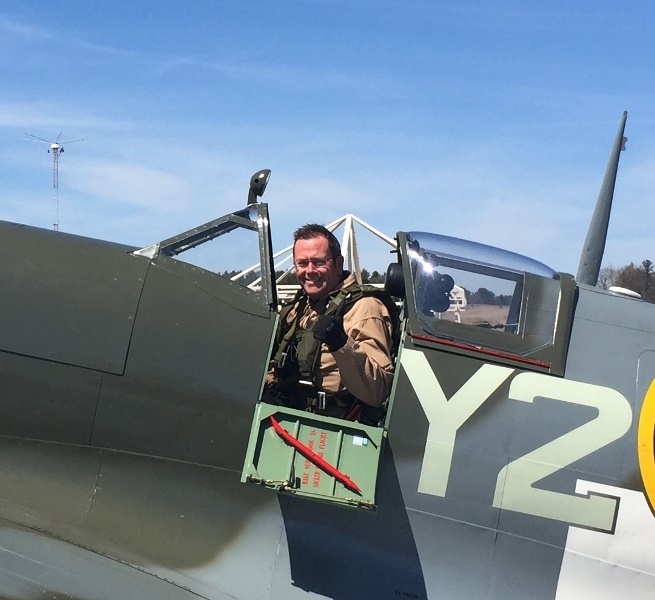 I flew 22 hours on the Spitfire. What a delight! Some restorations take a long while to work out the bugs. Not this one. It's had very few problems. Worked great right out of the box. 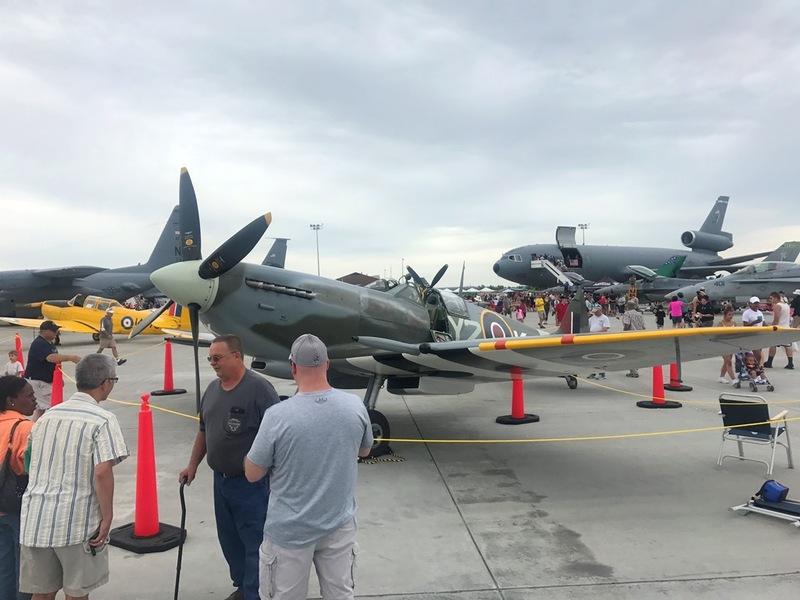 We got to 3 airshows on 3 weekends. The first was Borden. 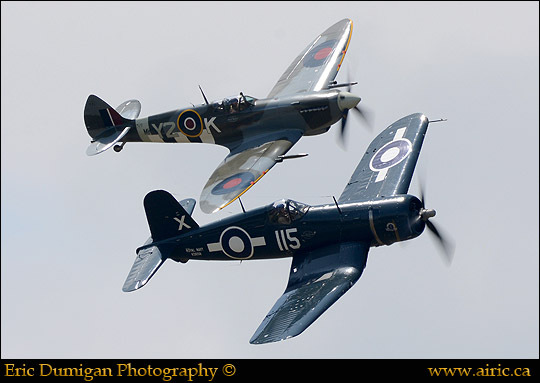 I was #2 to the Corsair. Lovely to perch on its wing for flight after flight. 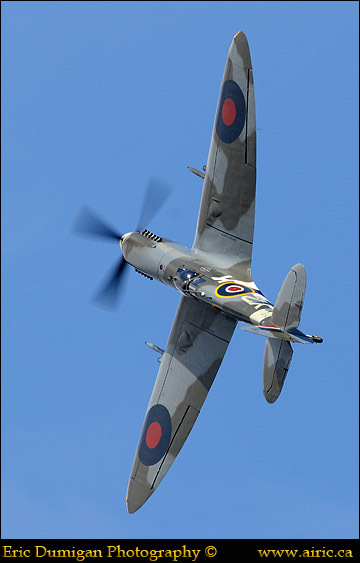 The low-speed/high angle of attack characteristics are wonderful. This one stalls at about 70 mph clean at 1G, and delivers plenty of warning if you are pulling it into a stall -- and then doesn't want to flick! The result is that you can do a figure-8 pirouette show, close in, front and center, always changing bank and pitch so the crowd is seeing change. And you never vanish for turnarounds. Yet you don't need much G, or high power -- in fact I just leave a high-cruise power setting on and don't vary it much. A delight. And a privilege. More detail: on the Sunday, the Corsair had to try to get back to Gatineau, but I was staying local because of the Niagara Falls show the following weekend. 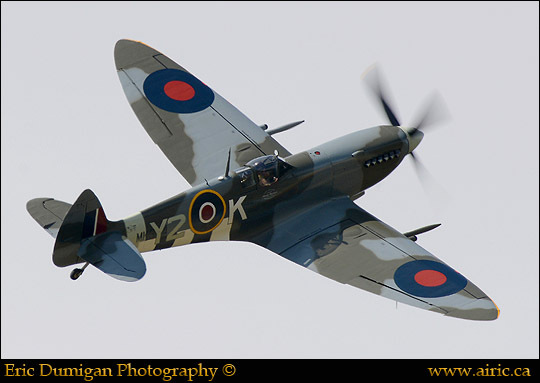 And the aircraft slated to display after us had a technical problem. 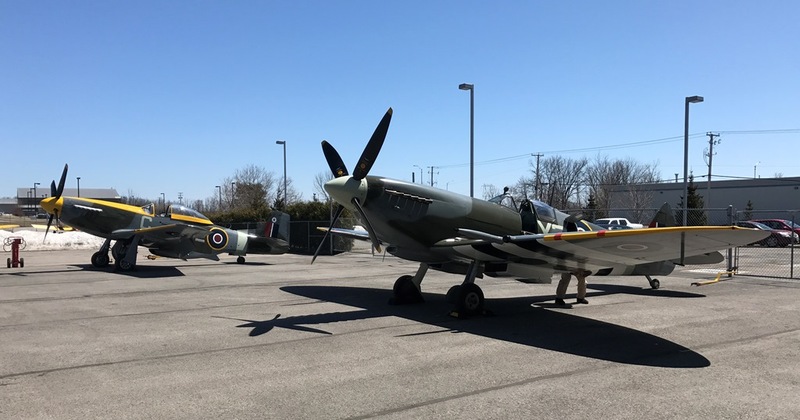 So they asked if I would do the solo Spitfire routine we had already briefed on (just in case the Corsair was a no-show). So the Big Blue Bird departed, and I stayed and cavorted. And I have it on helmet-cam, too. When I get a chance it would be nice to splice the 2 together. Last edited by Dave Hadfield on Fri Jun 22, 2018 12:12 pm, edited 2 times in total. The next show was Niagara Falls. 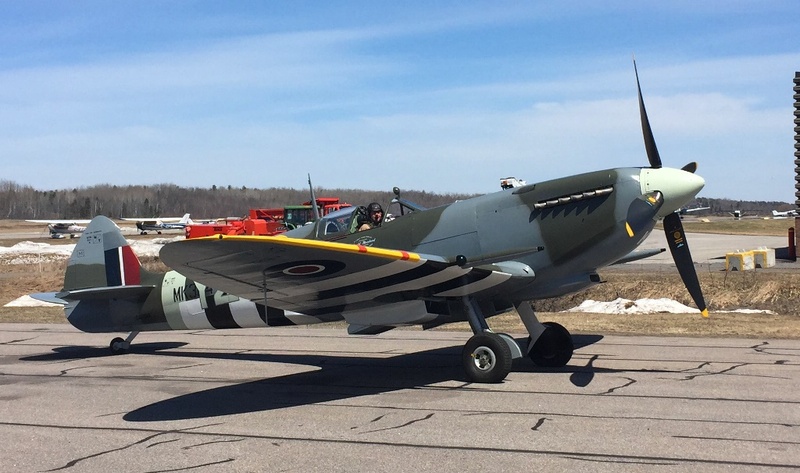 I was substituting for the P-40, which was still working the bugs out of a new oil cooler. This show was static display only, but a huge crowd showed up. On the Sunday they had to CLOSE THE AIRSHOW GATES BECAUSE THERE WERE TOO MANY PEOPLE! When have you ever seen that? I never have. 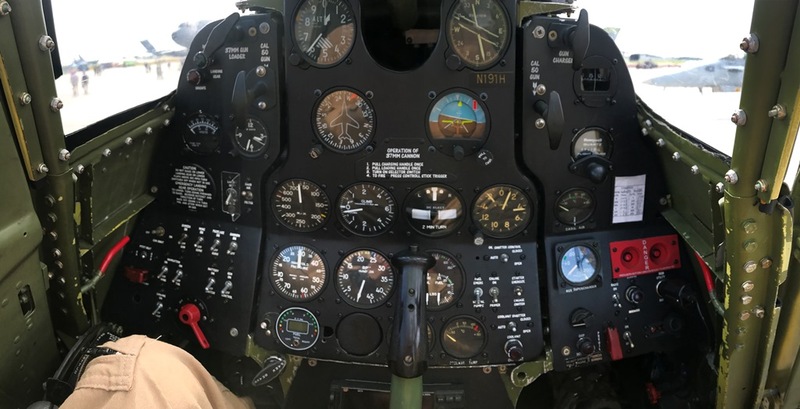 I got to sit in the P-63 cockpit. It's got roll-down windows just like the Fairchild. And my old buddy from 40 years ago came out. He lives nearby. We used to instruct together -- and then chase around together, too! 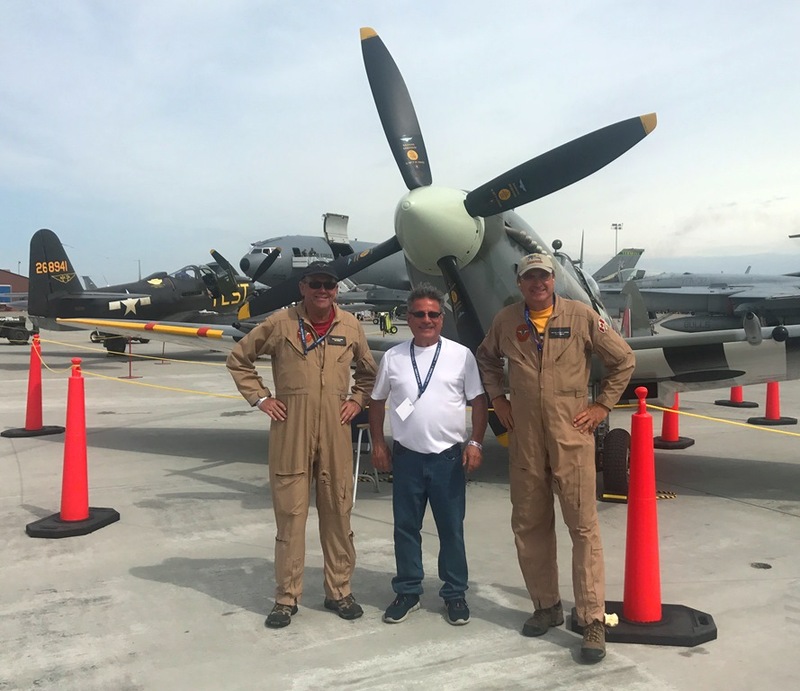 The guy on the right is Joe C, who is flying the P-40 this year, and also lives not too far away. He brought his Stearman. This is the proper way to retire! WE ARE PLAYING OSHKOSH! CD Release! Chris and I are booked to play Theater in the Woods on Thursday, July 26, from 20:30-22:00. 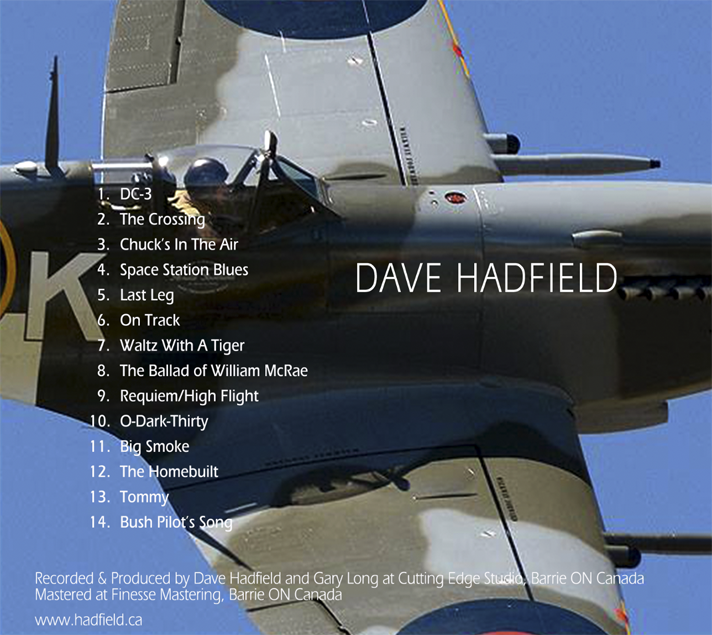 We'll play tunes from my new Album: "Climbin' Away", plus songs from Chris' space-album "Songs From a Tin Can". No better place in the world to play flying songs! anyplace we can have a preview of the music Dave? I've had a tremendously busy summer. Still trying to catch up. The Spit IX and I flew 6000 miles. 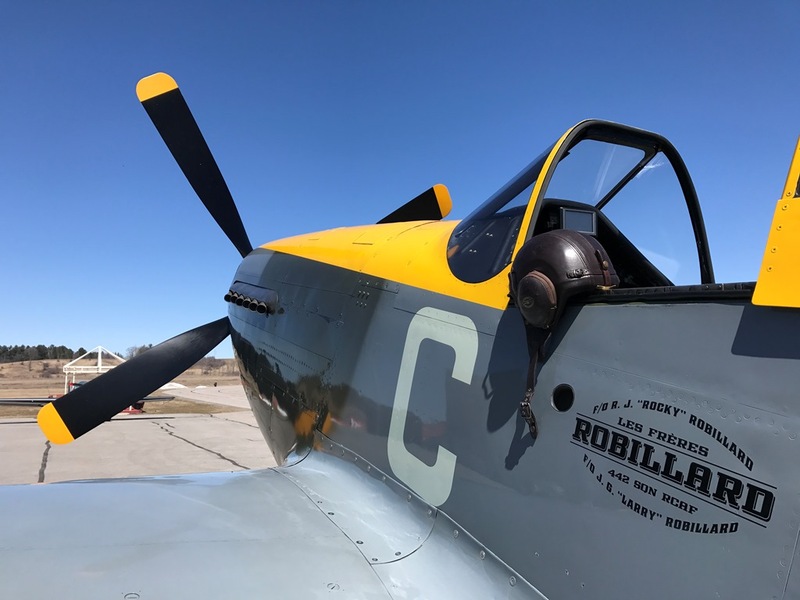 But on departure from OSH I flew a formation photo mission with Warren P in the other Spit, and also the P-51C. Scott Slocum was the photographer in the Bonanza (door off, pointing lenses at us, calling: "Five up; 10 left...") He asked me to peel-off -- and I did. 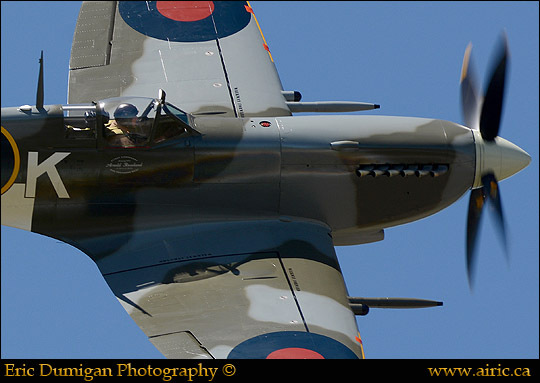 Today the current issue of EAA Warbirds arrived. This picture is in it. Can't wait to see the full article!